Wolfgang Borchert: German, author, playwright, poet. His experience under Hitler and Wehrmacht service changed his life. Never a Nazi supporter, he deplored compulsory Hitler Youth time. Finally he got out. In 1940, the Gestapo arrested, then released him. His Wehrmacht conscription suspended his young theatrical career. Sent to the Eastern front, he saw war firsthand at its worst. It included numerous casualties, vast destruction, starvation, and painful deaths. When an infected cut caused hepatitis, he was accused of avoiding military service by self-mutilation. As a result, he was arrested, placed in isolation, convicted of making “statements endangering the country,” sentenced to six more weeks in isolation, then returned to the Eastern front “to prove himself” in battle. As a result, he suffered frostbite and hepatitis bouts. Given medical leave to recover, he returned home to ravaged Hamburg. He parodied Nazi propaganda minister Joseph Gobbels. Doing so got him prosecuted and sentenced to nine months in prison. On release, he returned to duty on the Western front. In March 1945, his company surrendered. During transfer to a POW camp, he evaded guards, escaped, and walked home to Hamburg, covering about 600 km. After the war, his health deteriorated. In 1946, doctors gave him a year to live. His damaged liver couldn’t last longer. With life slowing ebbing, he resumed theater work and writing. He recounted soldiers stumbling down post-war German streets. Their heads echoed gunfire and visions of numerous people killed. Boys sit in bombed-out buildings. They’re vigilant so rats don’t eat their brother beneath rubble. Marriages threaten to unravel over trivial incidents. Prisoners risk life and limb to glimpse flowers. In addition, a narrator alternates between sympathy and rage about how things are. This is what we did, all of us, he said. Ideological framing’s gone. Years of war destroyed it. There’s just the here and now to start over, rebuilding from bubble and broken lives. “Say NO! Say NO! Say NO! he said. He’s not subtle. Time’s too short. Imagine what his death cut short. On November 20, 1947, he died at age 26. 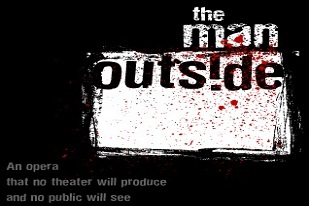 The next day, “The Man Outside” was performed on stage for the first time. It recounts a post-war soldier’s hopelessness. He returns home to find his wife and home lost, his beliefs and illusions shattered. All doors are closed. Even the Elbe River rejects his suicide, washing him ashore. The play ends with the lead character’s death. He may have recounted his own before he passed. 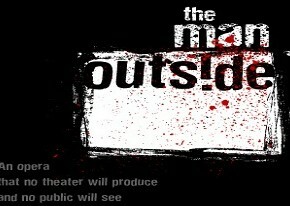 He subtitled his work “A play that no theater wants to perform and no audience wants to see.” Its too grim to bear. For if you do not say NO – if YOU do not say NO – mothers, then: then! In the bustling hazy harbour towns the big ships will fall silent as corpses against the dead deserted quay walls, their once shimmering bodies overgrown with seaweed and barnacles, smelling of graveyards and rotten fish. The trams will lie like senseless glass-eyed cages beside the twisted steel skeleton of wires and track. The sunny juice vine will not rot on decaying hillsides, rice will dry in the withered earth, potatoes will freeze in the unploughed land and cows will stick their death-still legs into the air like overturned chairs. In the fields beside rusted ploughs the corn will be flattened like a beaten army. Then the last human creature, with mangled entrails and infected lungs, will wander around, unanswered and lonely, under the poisonous glowing sun, among the immense mass graves and devastated cities. The last human creature, withered, mad, cursing, accusing – and the terrible accusation: Why? Anyone unmoved by that isn’t human. No one could write it who didn’t experience war’s horrors firsthand, and scream Say NO! Say NO! No More. Written almost 65 years ago, wars rage daily. Millions more lives expired. Perhaps no one will listen to other Borcherts until no one’s left to hear, if “You do not say NO” now.